A match made in heaven for those who love ’70s style. Nike’s Air Max 1 takes the preppy route with its latest iteration. The premium makeover of Tinker Hatfiled‘s design adds “Wheat Gold” to its base with chenille on the Swooshes and tongue tab. Corduroy is also added to the upper just above the midsole and across the toebox. The sneaker’s signature visible Air Max unit returns to the heel with the original outsole swapped with a crepe finish. 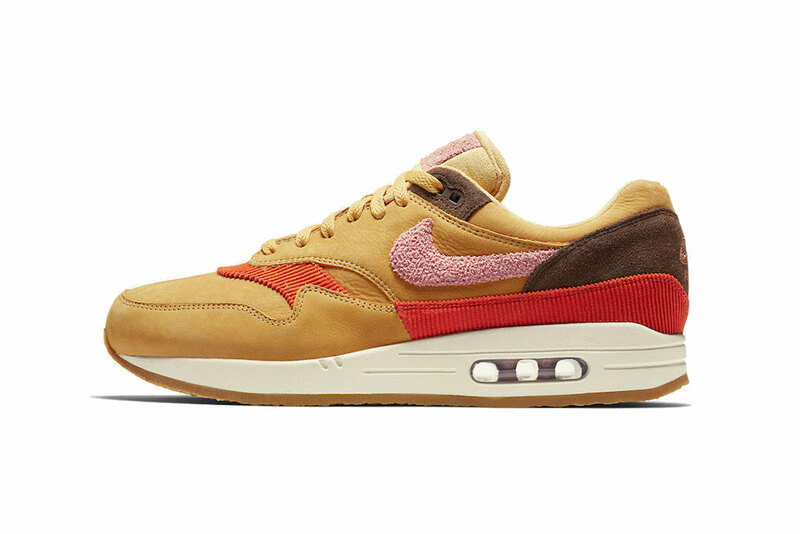 Nike Air Max 1 Premium Drops in "University Gold"
Nike's Air Max 2 Light Brightens Up in "University Gold"
Including Joshua Vides’ exclusive goods for his “Reality to Idea” US tour. Mixing navy suede and white leather. Mixing his designs with the innovative Heattech fabric. Church the Cat rises once again.